Are the BBC's HD channels Copy Once or Copy Free? Panasonic new HD recorders are impressive, but will there be restrictions on what you can record? 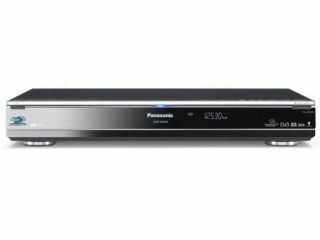 Panasonic released details on its new range of Freesat HD digital recorders this week, but some confusion has arisen over what BBC content you can and can't copy to Blu-ray disc on the machines. There are three recorders which will be released in June: the DMR-BS850 and DMR-BS750 are Blu-ray recorders, with 500GB and 250GB hard drives respectively, while the DMR-XS350 is a DVD recorder with Freesat HD and a 250GB hard drive. When it comes to copying content to disc, however, both the BBC and Panasonic have sent out slightly mixed messages. Speaking to Home Cinema Choice magazine about the thorny area of copy control, David Preece from Panasonic, said: "The BBC has informed us that once these recorders go on sale, they will move the majority of their broadcasts to Copy Free." "But if Hollywood, or a rights holder, specifically wants to restrict usage, a TV channel will broadcast 'prohibit' flags." However, the BBC recently posted a blog stating that its HD content will be Copy Once, with Danielle Nagler on the broadcaster's internet blog stating: "While the discussion is ongoing, we have made one change which I hope those of you focused on the imminent arrival of blu-ray recorders will welcome. "It will now be possible to make a single HD Blu-ray copy of one of our programmes, although not copies of copies." TechRadar contacted Panasonic about the confusion and a spokesperson told us: "The BBC site is correct and they lifted this the copy right protection flag to Copy Once for our launch. We have been told that further restrictions will be lifted at the end of June." TechRadar has contacted the BBC with regards to whether it will be amending its copy policy come June. If it turns out that the broadcaster is to change its DRM in the summer, when it only just announced that it has gone to Copy Once, then the question remains: why confuse consumers further?